It’s seated at the crossroads of a continent, home to the largest indigenous population of any major city in Canada, and known as the country’s cultural cradle. Yet chances are most of your clients would struggle to locate Winnipeg on a map. Situated within one of the Great White North’s three “Prairie Provinces”, and largely surrounded by flat farmland, the Manitoban capital can’t match the scenic headline attractions of Ontario and British Columbia. But this richly historic city offers the curious, well-travelled client a look at a side of Canada they may not have seen elsewhere. Walking through Winnipeg’s storied Exchange District, a National Historic Site of Canada, I trace the city’s timeline through bricks and mortar on a guided walking tour. I take in early 20th-century stone and brick granaries, terracotta-clad skyscrapers – some of the first in Canada – and grand, Italianate banks. Some still sport charming, faded “ghost signs” on their walls – hand- painted adverts for everything from Pepsi to canned ham that date as far back as the 1890s. You can even see history etched into individual bricks, with much of the locally quarried Tyndall stone showing fossil burrows from marine creatures that are hundreds of millions of years old. The district spans a whopping 20 blocks and more than 150 edifices. By some accounts, this is the largest and best preserved collection of heritage buildings in North America. Surviving relics of the city’s heyday (in the late 1800s there were more millionaires here per capita than New York, and by 1905 it was the fastest growing city of its size in North America), the structures attest to the city’s status as much more than a western backwater. Once known as the “Gateway to the West”, Winnipeg was an important city culturally, economically and socially, my guide explains. These old buildings now house creative new businesses: shared artists’ workshops where you can buy handmade leather goods straight from the craftsmen and women, modern minimalist co ee shops, speciality doughnut stores, experimental fine-dining restaurants and numerous theatres. But “The Peg’s” charms aren’t confined to the Exchange. Within a 20-minute radius clients will find The Forks, a former horse stables and rail yard converted into a market food hall. The building recently underwent a multimillion-dollar revamp, and now houses myriad independent local vendors offering wood-fired pizzas, all manner of fusion foods and local craft beers from the sleek space. Next door there’s also the Canadian Museum for Human Rights, a standout local attraction. When it opened in 2014, it was the first national museum built outside Ottawa–Gatineau and the country’s first new national museum in more than 40 years. A groundbreaking venue, it prides itself on “storing stories” rather than artefacts, and features numerous interactive exhibits as well as striking architecture and incredible views of the city skyline. Just a short walk away, visitors can also admire the world’s largest public display of contemporary Inuit art at the Winnipeg Art Gallery, or uncover a more eccentric slice of the city on a Hermetic Code tour of the Manitoba Legislative Building, which reveals the concealed hieroglyphs and Masonic symbolism etched into its walls. While these attractions alone are unlikely to warrant a holiday to Winnipeg, a stop in one of the Prairie Provinces – whether in a city or out in the country – can help enrich a wider, multi-centre Canada itinerary, says Brian Hawe, product manager at First Class Holidays. “In our experience, people don’t visit the Prairies as a standalone destination, but more as part of a self-drive itinerary that is tailored to their specific needs, and normally includes a large element of Alberta – either the Rockies or some of the archaeological [sites] to the south and east,” he explains. Prestige Holidays Canada manager Denise Hunn extols the virtues of sending clients into the wilds of Manitoba and Saskatchewan. “The lesser-known provinces of Saskatchewan and Manitoba are ideal for second- or third-time visitors to Canada who are looking to get under the skin of the destination and widen their Canadian experiences even further,” she says. 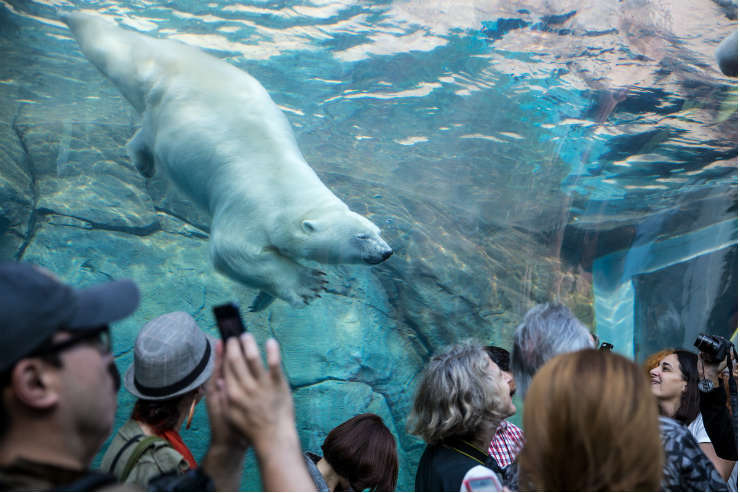 If your clients want to get up close and personal with Manitoba’s polar bears, there's the small town of Churchill, located 620 miles north of Winnipeg on the west shore of Hudson Bay. It is arguably Manitoba’s premier attraction, drawing visitors from across the globe who use Churchill as their base for exploration into the wild. 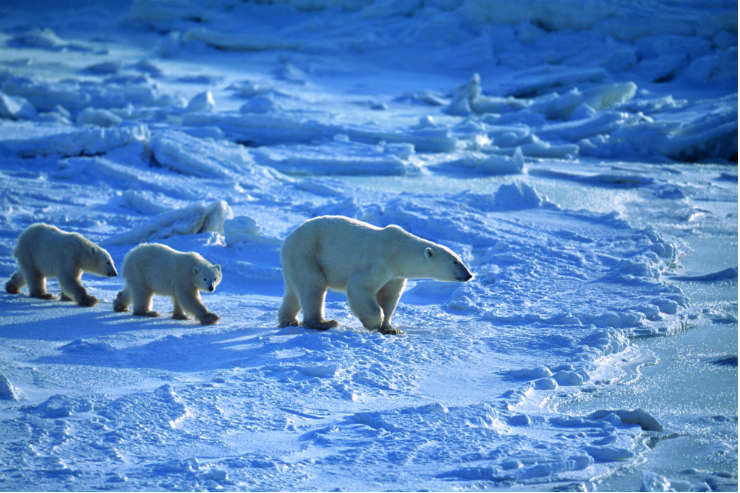 The best time to see polar bears around Churchill is October and November. Many operators offer tundra buggy day tours from town, but if your clients have deep pockets or feel passionately about wildlife viewing, then they should consider Churchill Wild. The company offers seven- to 11-day Polar Bear Walking Safaris from its luxury fly-in, fly-out eco-lodges, open between July and November. In addition to polar bear spotting, visitors to Churchill also have the opportunity to see beluga whales and the northern lights.